Meet at Quarries Park, corner of Ramsden and Field Street, Clifton Hill from 1pm to 4pm. 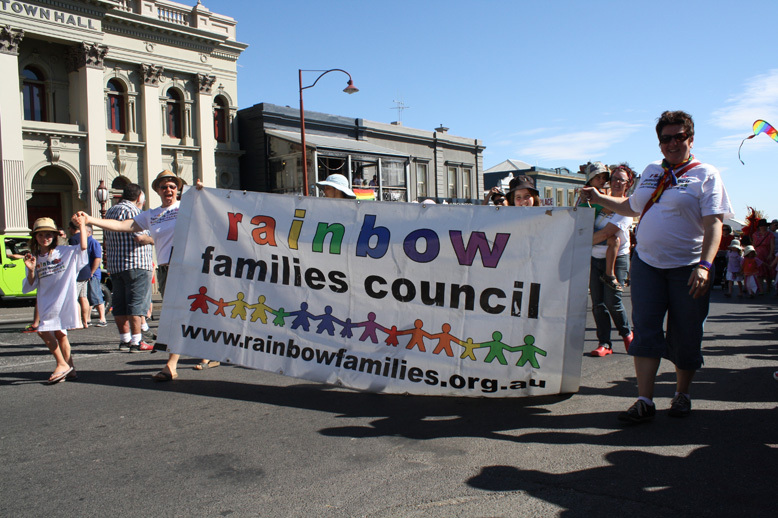 BYO picnic and rug, the footy, scooters for the skate ramps and even your puppy for a fun rainbow families afternoon together in the park. Don’t forget the Kids vs Grown Ups soccer match at 2pm. There will be craft activities for the kids, a fantastic playground to explore and there is the lovely Merri Creek to walk (or ride your bike) along too. Find us at the Rainbow Flag!